The new product of 2014 is designed specially for those who keep up with fashion trends. 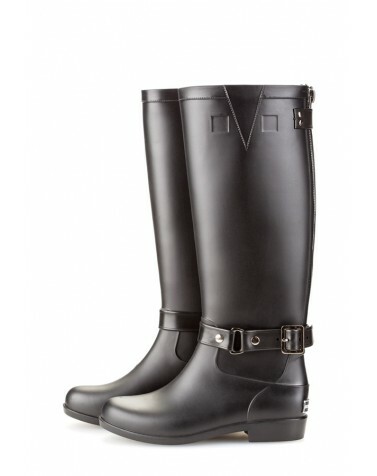 High jockey wellingtons with a wider bootleg and a removable shoe buckle! A zipper at the back of the bootleg makes putting on and taking off the boots more comfortable. The wellies are made from a high-quality elastic material. A soft insole keeps you warm. Now you can combine wellingtons with your favourite jeans easying tucking them into bootlegs. Height of boots 42,5 cm.